Things have been busy, so I’m going to combine these posts. 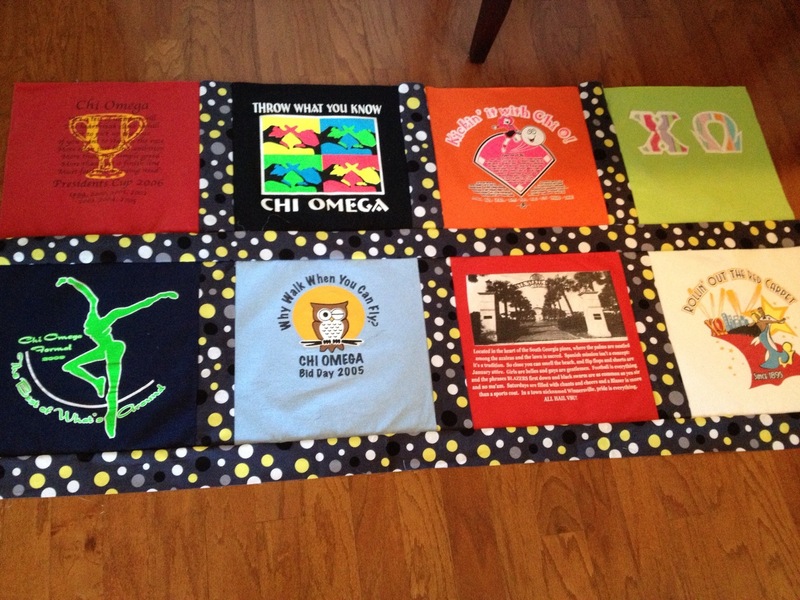 This week, I’ve started & finished a t-shirt quilt and a baby onesie quilt. 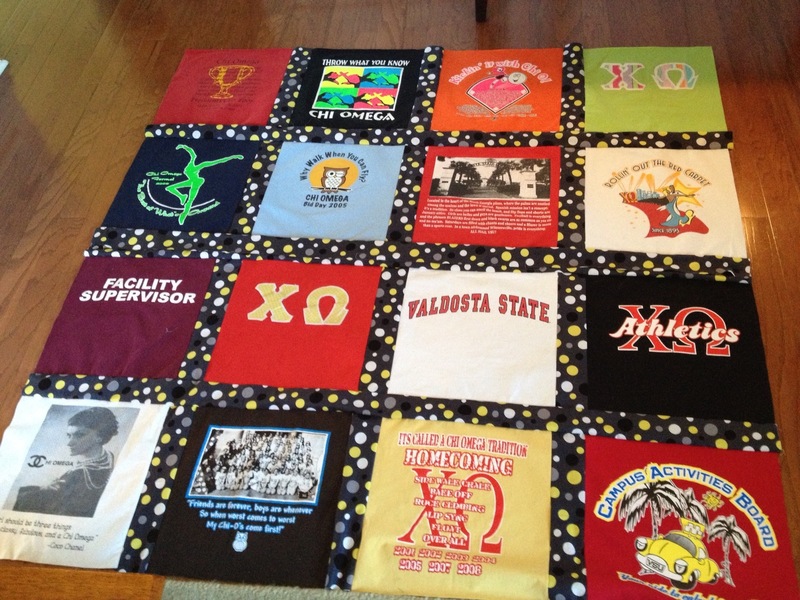 (Pictures below) The t-shirt quilt was for one of my best friends from high school, using her college sorority t-shirts. She lives and works in my hometown, and I visited her while I was home back in September. I helped her narrow down the shirts to include, and she settled on 20. 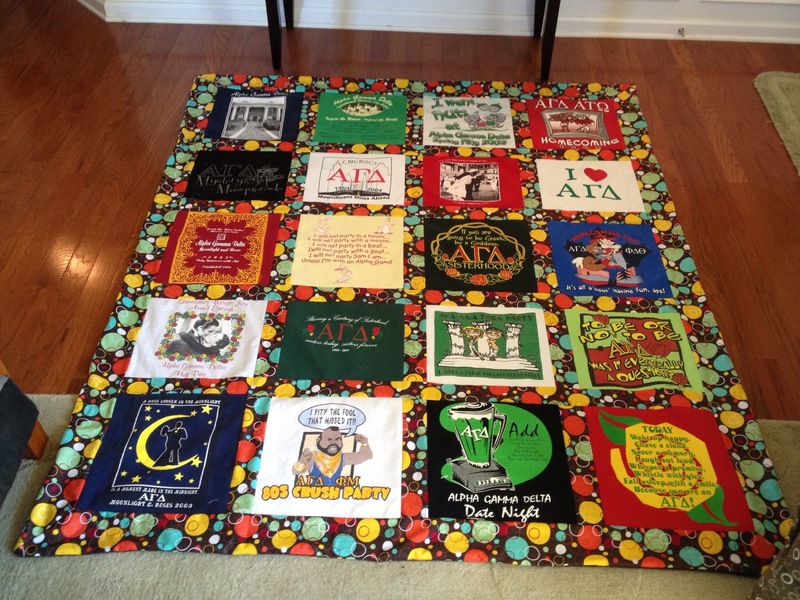 There was no real deadline for this project, but I was going to be home this weekend, and wanted to have the quilt done to deliver to her. In typical Melissa fashion, I started this week (I am amazing under pressure). 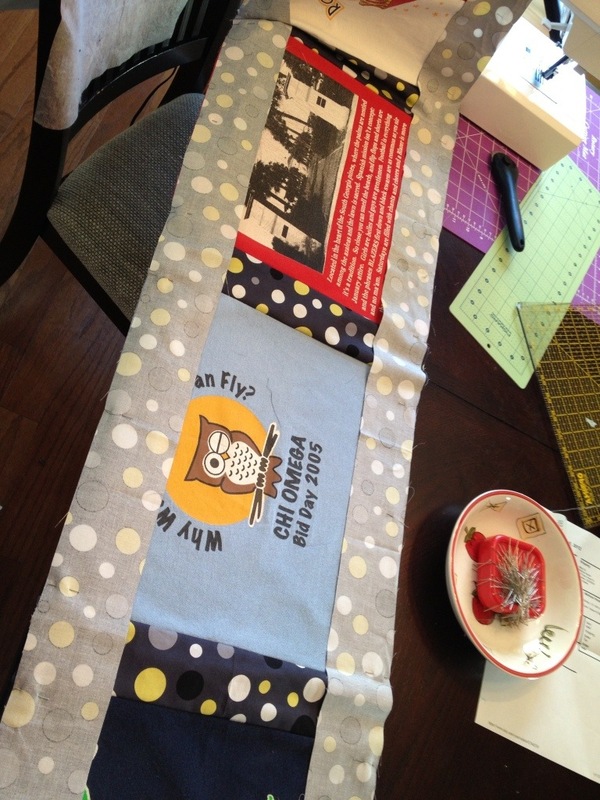 I finished Heather’s blanket Wednesday, and immediately started another project. Erin is a friend of a friend. 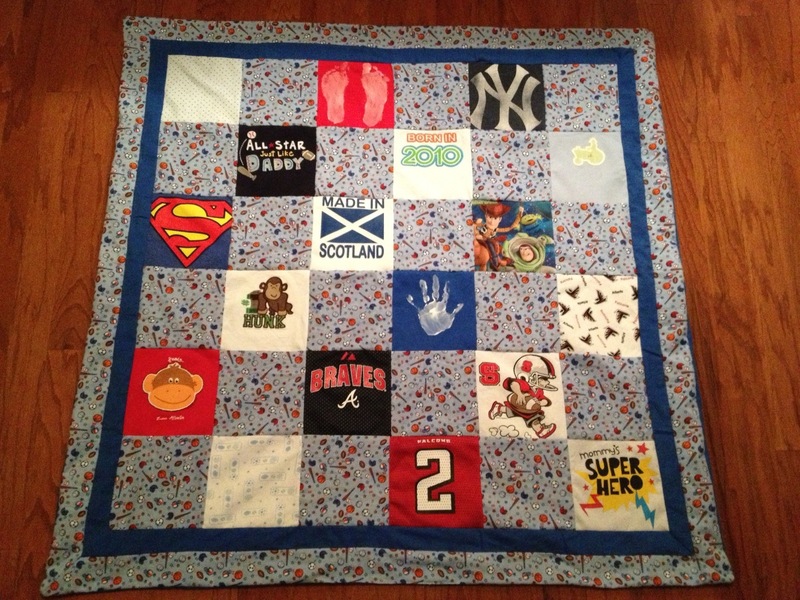 When I posted a picture of my son’s onesie quilt, she asked if I’d make one for her. She lives out of state, so she had to mail me the outfits to use. I’ve decided that the baby quilts are my new favorite. 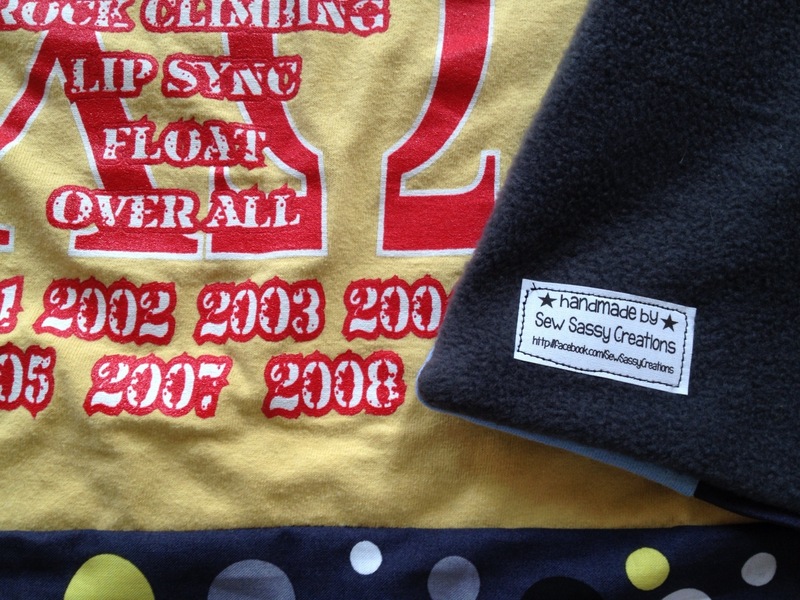 I think it is a great way to treasure your child’s jammies and outfits, and I hope I have the opportunity to make another one soon. 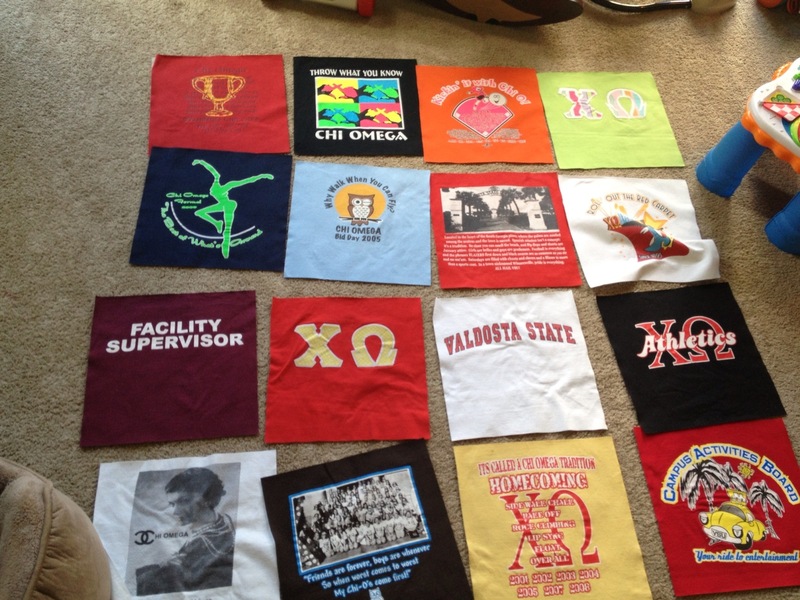 Since my sister graduated college, I’ve been bugging her to let me turn her t-shirts into a quilt. She finally turned them over to me this summer. 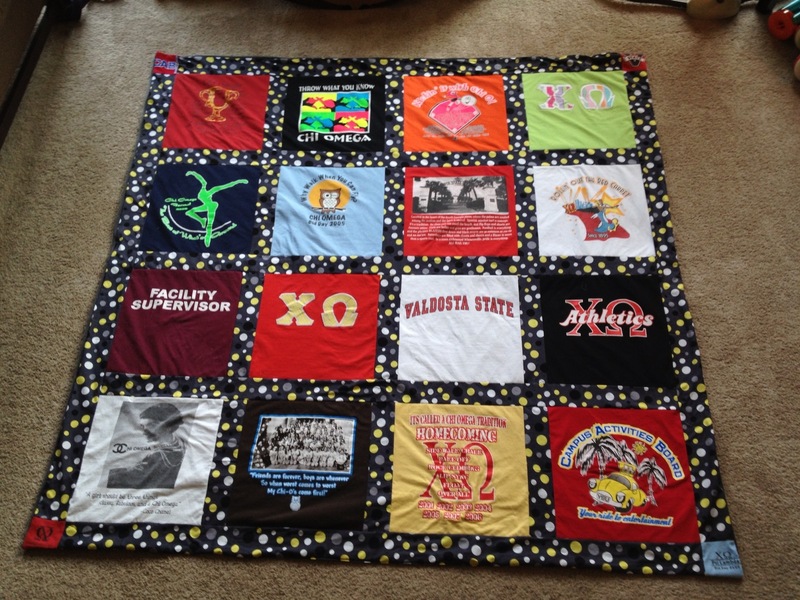 I planned on making the blanket for her birthday in November, but decided it would be awesome to surprise her. My sister recently moved to Baton Rouge to attend LSU. She is getting her Ph.D. and works for the university. This is a phenomenal opportunity for her, but between hurricanes and bomb threats, she’s had a rough couple of weeks. I am a horrible secret keeper, and I hate waiting, so this was difficult for me. It was hard not telling her what I was doing. Perhaps the hardest part was waiting for the package to arrive. (It didn’t help matters that I wrote the wrong zip code on the box, but we’re not going there…). I paid for Priority shipping, thinking that the package would get to her on Thursday. It didn’t. I thought it would get there Friday. It didn’t. 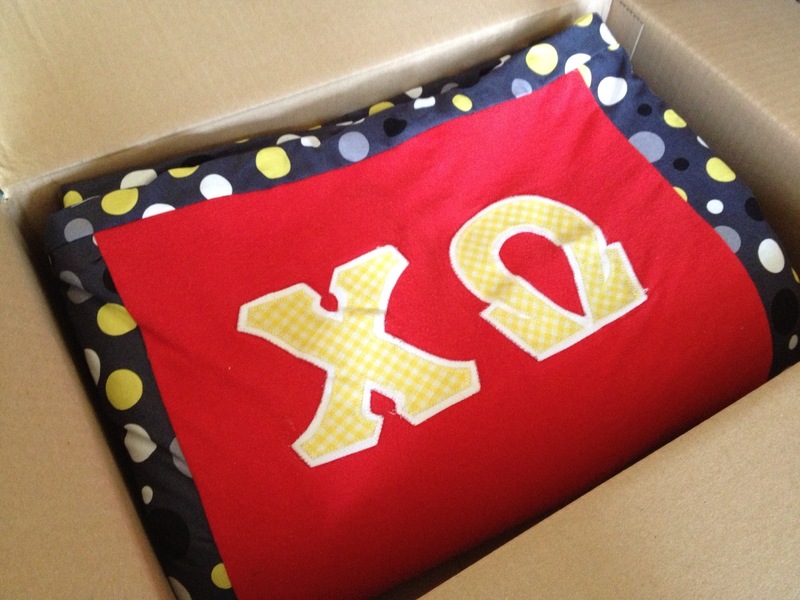 I gave up hope, especially when tracking said the package was sent back to the sorting facility Saturday morning, but at 4:58 Saturday afternoon, I got a call from my sister- the quilt made it! She was surprised, excited, and in love with her new blanket. That phone call made all the stress of waiting worth it.